Find out more about property development, real estate or urban planning with development application information at your fingertips. The DA Finder App Version 2 can notify you of any Development Application, Territory Plan Variation or Environment Impact Assessment application lodged in the ACT. New functionality allows users to create a search area and receive electronic updates as well as comment online. 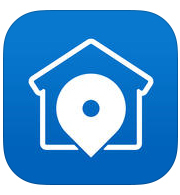 The free DA Finder V2 App is available to download from your app store. Already have the app? Don’t forget to install the latest upgrade to ensure your information is up to date and features all the latest DA Finder V2 applications. The app is available from iTunes and the Google Play Store.